Golf’s two main protagonists in the course-ranking arena are now going head-to-head on the global stage, and while they don’t agree on everything, they exhibit considerable common ground when it comes to rising reputations of New Zealand’s Cape Kidnappers GC, Kauri Cliffs GC, and Asia-Pacific courses generally. 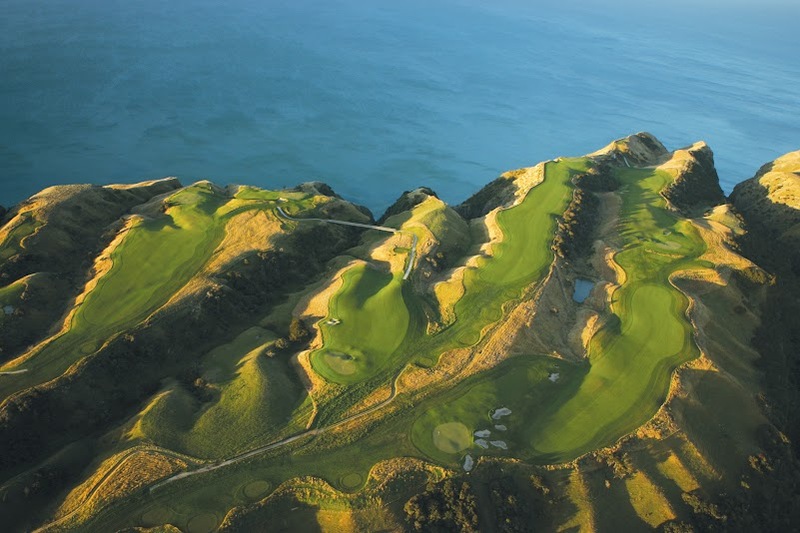 In January 2014, Golf Digest issued its first-ever global top 100, (“The World’s Greatest 100 Golf Courses”) and New Zealand’s two most heralded tracks both landed in the top 40: the Tom Doak-designed Cape Kidnappers at #22, and David Harman-designed Kauri Cliffs at #39. Of the 100 featured, 18 courses hail from the Asia-Pacific region, the highest percentage ever achieved, including top 100 debuts from courses in China, Korea, Indonesia and Australia. Golf Digest in many ways pioneered the idea of course ranking, in 1966. Based in the U.S., the magazine property—which owns and/or partners with some 27 international editions—had previously formulated only a top 100 for the United States, complemented by a “Top 100 Courses Outside the U.S.”, last issued in 2012. This new ranking covers the entire globe. Its main competitor in the course-ranking gambit, GOLF Magazine, issued its latest “Top 100 Courses in the World” in September 2013, something it has done every odd year since the late 1970s. Cape Kidnappers currently ranks #38 in this balloting, while its sister course, Kauri Cliffs (both are owned by American hedge fund legend Julian Robertson), sits at #74. “Selfishly, we’re pleased that Golf Digest has opted to both issue a global top 100 and rank our golf courses so highly—we can now safely say that we offer discriminating golf travelers two of the top 40 courses in the world,” said Ryan Brandeburg, director of golf at Cape Kidnappers GC (http://www.capekidnappers.com), in Hawkes Bay, and Kauri Cliffs GC (http://www.kauricliffs.com) in Bay of Islands. Brandeburg notes that private clubs dominate much of Digest’s new global 100. Indeed, public/resort courses are rare, and only an elite handful rank ahead of Cape Kidnappers: Pacific Dunes in Oregon, USA (#21), Turnberry in Scotland (#19), Pebble Beach (#15), Barnbougle Dunes in Tasmania, Australia (#11) and the venerated Old Course in St Andrews, Scotland (#7). “If those are the only public/resort courses considered superior to Cape Kidnappers and Kauri Cliffs, then we can live with that,” said Brandeburg. “Those are all spectacular tracks—the sort of company we are pleased to keep. It’s clear the world travel press, with its sharp focus on the hotel component, supports Brandeburg’s assertion. In August, the verandah-wrapped Lodge at Kauri Cliffs was named the #1 hotel in the world according to Business Insider, which reached this decision by aggregating current world hotel rankings from the industry’s most respected sources: Travel+Leisure, Condé Nast Traveller, TripAdvisor.com and Fodor’s. In October, Kauri Cliffs received a near perfect score of 99.2 out of 100 in Condé Nast Traveler’s 2013 Reader’s Choice Awards detailing the “Top 100 Hotels & Resorts in the World”. In 2010, The Farm at Cape Kidnappers, located in the heart of New Zealand’s thriving wine region, was named to Travel+Leisure’s “World’s Top 50 Hotels”. It earned Gold List status from CN Traveller for 2012. The Farm was also named among the “Top 20 International Hideaways” according to the Andrew Harper Readers Choice Awards. The methodologies and panels deployed by Golf Digest and GOLF Magazine rankings differ on several levels. The Digest course-rating panel is larger and more U.S.-centric, though its 846 panelists include representatives of the media company’s international editions and their respective panels. GOLF Magazine also boasts raters sourced from its many international editions, but the panel is smaller, approximately 135 strong. Digest rankings also tend to be more strictly quantitative than GOLF’s. While Golf Digest’s new “100 Greatest Golf Courses” list clearly honors more Asia-Pacific courses (GOLF’s current world top 100 includes just 13 from the region), it also appears to lay the groundwork for a further shift in regional emphasis. Brandeburg sees these new rankings as fairly representing not just the new golfing demographics but current golf tourism trends. He pointed out that of the 18 Asian courses in the new ranking, 11 were built more or less since the turn of the century.